Good maize silage is an integral component of feedlots, dairies and other intensive livestock production systems in South Africa. PANNAR provides a complete package of maize silage hybrids to satisfy the requirements of these systems. The energy value of silage depends on the amount of grain it contains. Thus, the best grain-producing hybrids in a particular area are usually the best adapted to local growing conditions and, therefore, are also likely to be the best silage-producing hybrids. 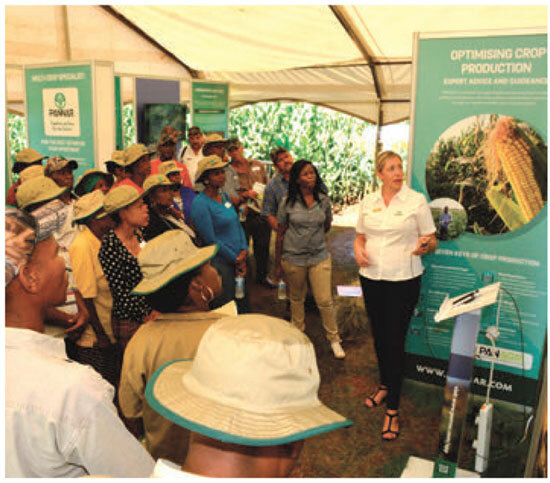 The following aspects should be taken into consideration when selecting a hybrid: Adaptability; disease pressure; targeted date for cutting; whether a contractor will be hired to harvest the crop; as well as grain yield potential. Each of these factors affects the ultimate yield and the quality of the silage obtained. Hybrids with thick woody highly lignified stalks (heralded by grain farmers for exhibiting excellent standability) should be used cautiously for silage as much of the dry matter can be made up of indigestible lignin. PANNAR markets a range of maize hybrids for use as silage hybrids. Medium season (6 series) hybrids should make up the bulk of silage plantings, due to their consistent and reliable yield performance. Depending on heat units, medium season hybrids are ready for cutting approximately 115 days to 150 days after emergence. This growth class generally offers good disease tolerance and an extended cutting window of 10 days to 20 days. A plant population 10% to 20% higher than what would normally be used for grain is recommended for silage production. Ultra-early (3 series), early (4 series) and medium early (5 series) hybrids can complement the medium package. The primary advantage of these quicker maturing hybrids (varying from 100 days to 140 days from emergence to cutting) is earlier establishment of subsequent crops such as ryegrass, winter cereals and wheat. In regions with sufficient heat units, two silage crops can be harvested in a single season under irrigation and using ultra-early hybrids. The ultra-early hybrids have excellent feed value due to a high grain-to-leaf and stalk ratio. However, inherent disease susceptibility in this growth class is an important consideration. They also have a short cutting window due to their quick dry-down. This may be an added risk factor, as timing is of the essence when cutting silage. It is recommended that these hybrids be planted at a 40% higher plant population than hybrids in the other growth classes, as the ultra-early hybrids have fewer leaves and a shorter plant type. Please select hybrids from the range as categorised by production region and consult your local PANNAR representative.